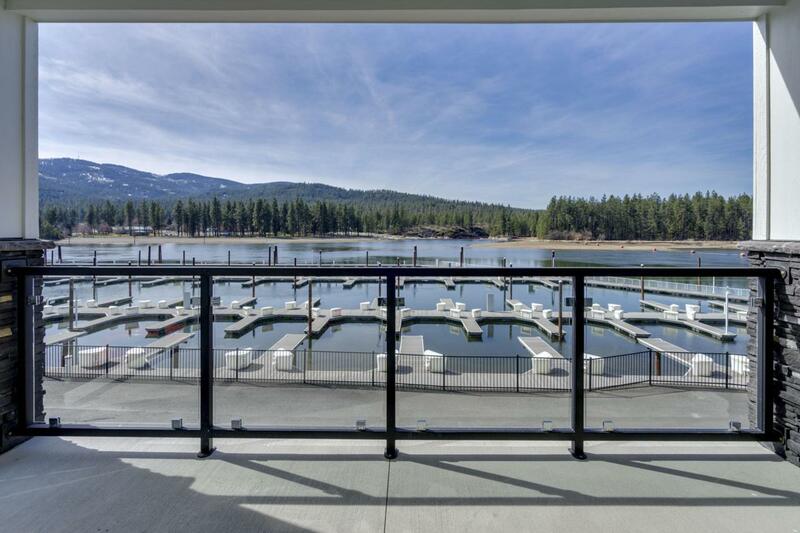 Tastefully upgraded new waterfront condo on the Spokane River. Private gated community with a garage, fitness room and ability to rent a boat slip in this amazing 2129 sq ft single level condo with an elevator. 3 bedrooms, 2 baths, a den and water views from almost the entire condo make this a perfect no maintenance living waterfront paradise. Heated master floor/towel racks, custom lighting, imported stone fireplace, gas stub on the waterfront deck, custom cabinets and a full granite backsplash are just a few of the upgrades you'll find in this rare corner unit full of natural light.